Every team is different. But what are the most important factors for a successful and unified team? What are you supposed to do if a player always runs late? How much attention does each player need? How do you tell them who made the team? Listen to coach Daniel Weber as he talks about leadership, team management, honesty and the secrets of a successful soccer team. More than 25 new and innovative drills focused on scoring and playmaking. Raise your player's tactical awareness while simultaneously working on their technical skills. 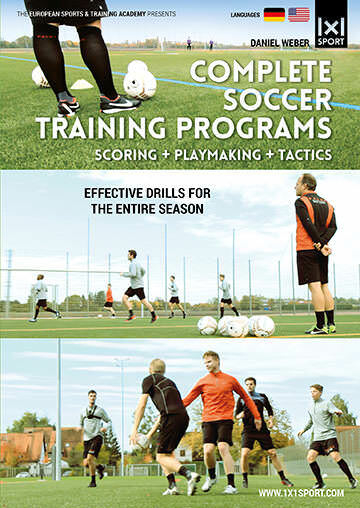 Set up efficient soccer practices in minimal time. Including bonus Free-kick variations.